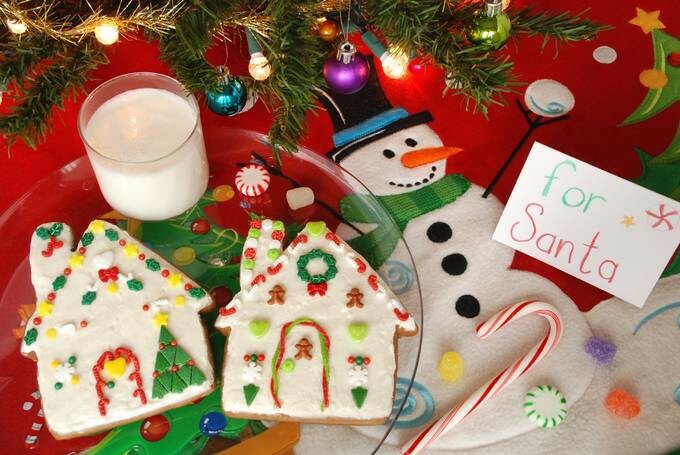 These gingerbread cookies are special – they taste soooo good (And I’ve tasted a lot of different gingerbread cookies). They stay soft – they’re rolled thick and not overbaked. And they have just the right amount of spices. After you cut the dough into shapes, you can’t wait to eat them. 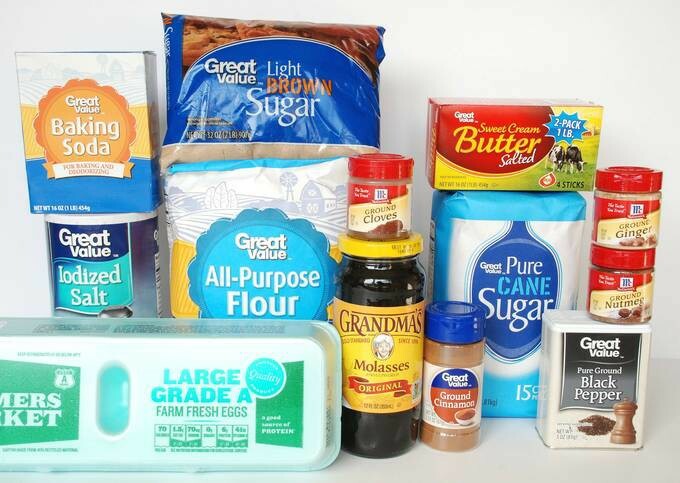 You probably have many of these ingredients in your pantry already – except the molasses. To roll out cookie dough I always use two white DōStix (www.dostixonline.com – the white sticks in the photo above). They help me roll the dough out evenly and get that critical ¼ inch thickness. 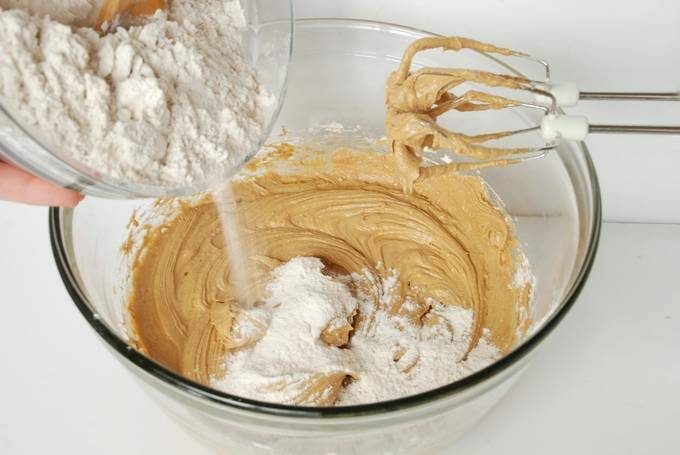 Put flour underneath the dough and lightly on top as you roll it out. 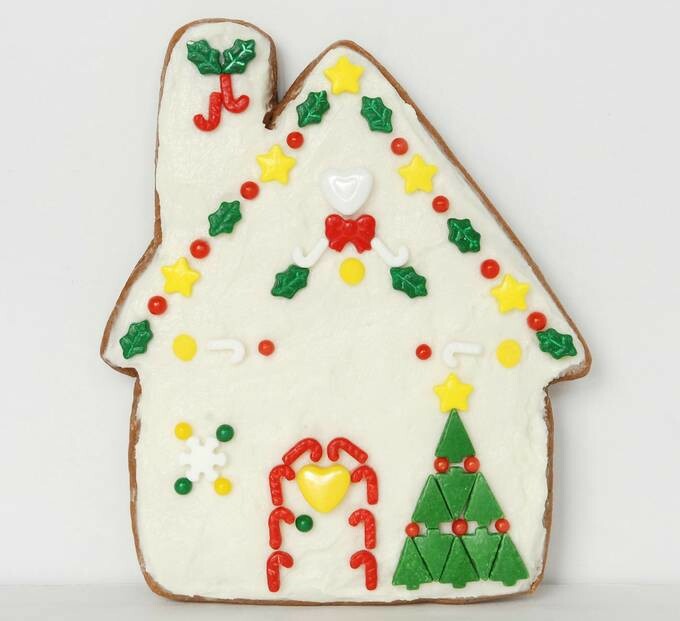 Cut the shapes with a house cookie cutter or use my Gingerbread House – Pattern. It can be printed to any size; I like mine large at 4¾ x 5¼”. 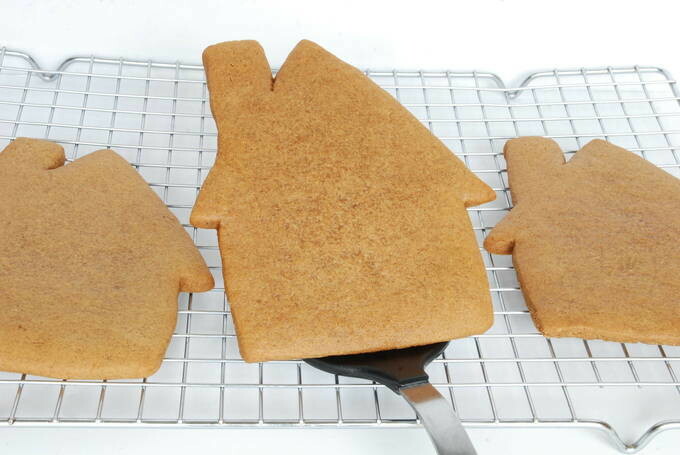 The cookies will be a little bigger than the pattern size – they puff up during baking. 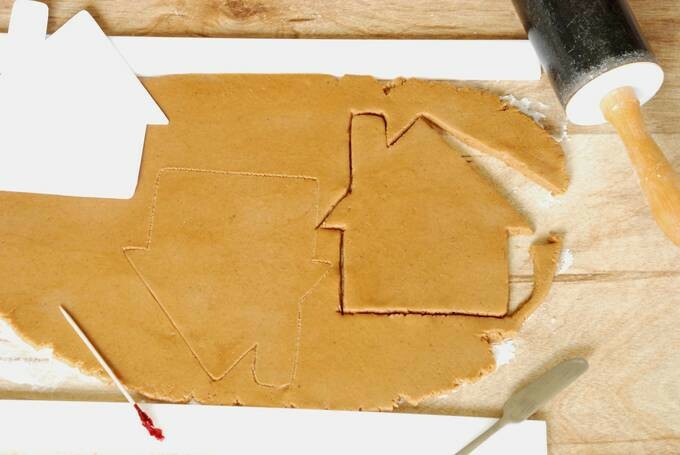 You’ll place the pattern on the dough and trace around it with a toothpick. Then remove the pattern and use a knife to cut along the lines. 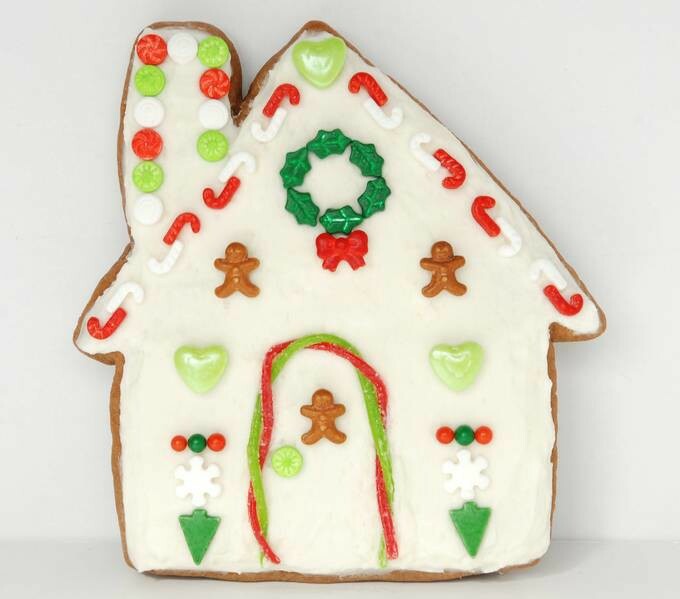 You’ll want to spread my Lick it Off the Cookie Frosting – Recipe on top. It’s soft and adds sweetness and moisture to cookies. 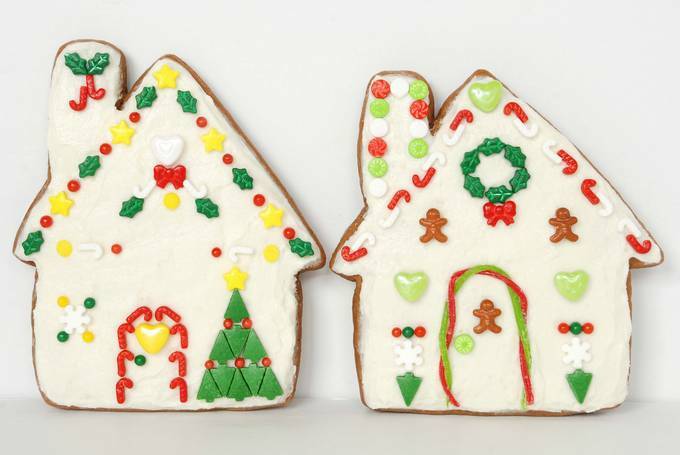 You need these four things to decorate the gingerbread houses. 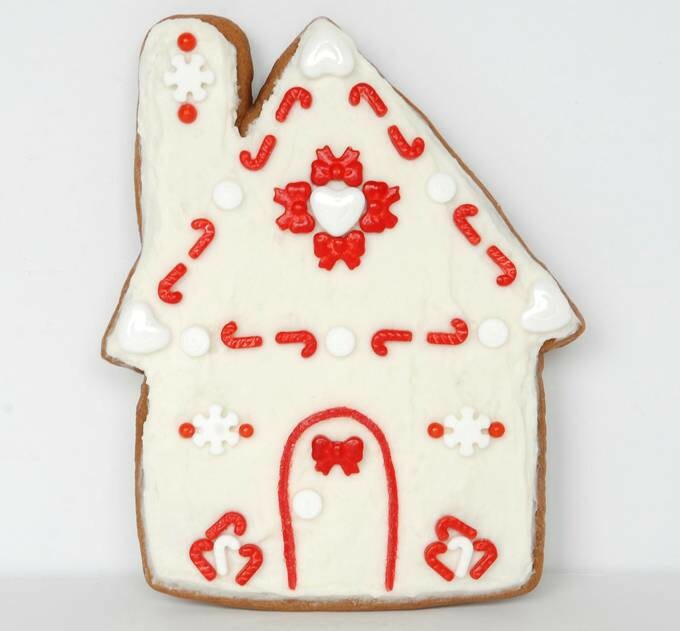 My inspiration for this cookie came from red and white quilts. 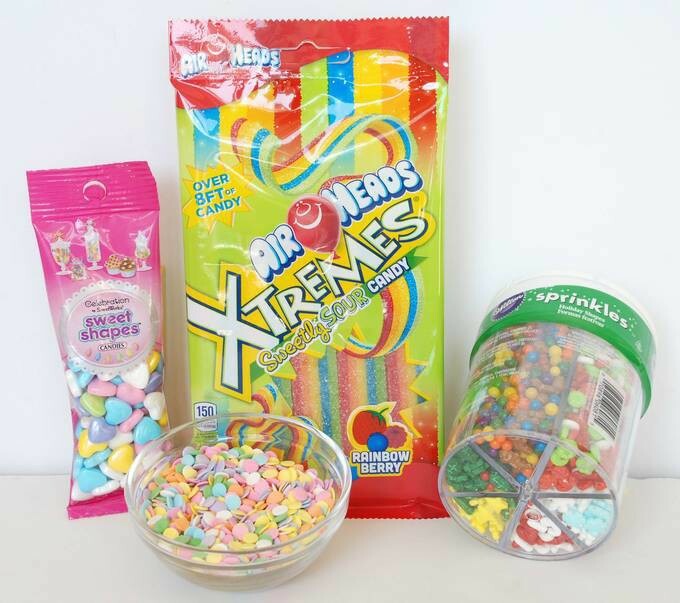 Think outside the box with the sprinkles. An upside down Christmas tree can become the stem and leaves of a flower. Holly leaves can turn into a wreath. Stacking small trees can make a large tree. This recipe makes 9 (large) to 12 (medium) cookies. So you may want to double it. We usually just frost them (with the boys and dad hovering / jostling to get the first one finished). But, if you want to dress them up, they’re fun to decorate. Enjoy them, they won’t be around for long.